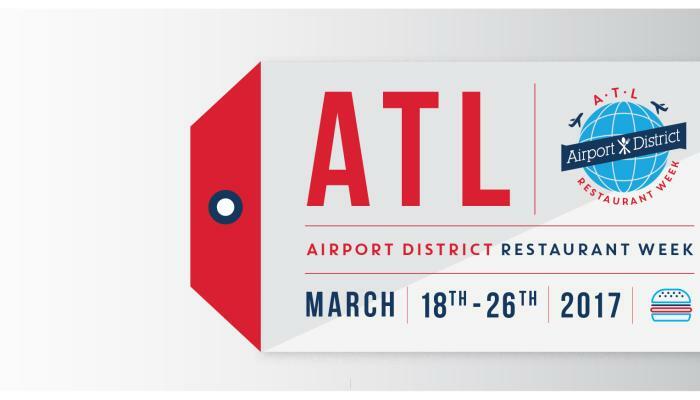 The 2nd Annual ATL Airport District Restaurant Week started yesterday with a pretty amazing line-up. During this week, residents of the Atlanta metro area and visitors will be able to explore several restaurants in the airport district who are offering prix-fixe menus at special prices. Thursday night I was invited to preview a few of the participating restaurant on a special blogger tour. I was especially excited for this opportunity, as I had never been to any of these particular restaurants. I’m all for new experiences! Our tour started at the Georgia International Convention Center. Here, we checked in and we’re treated with a nice selection of craft beer from Beer Girl Growlers & Bottles. Located about 7 minutes away from the airport in Hapeville, Beer Girl is your one stop shop for your favorite craft beers, wine on tape, mead, and sodas by the glass. Check them out when your in the area!! Our blogger welcome also included my new favorite cupcake, Kupcakerie. This cupcake that was presented to us was so moist, so amazing, and had just the right amount of sweetness. The icing was even good! Kupcakerie is located in downtown East Point. During ATL Airport District Restaurant Week they will be offer a delicious discount of 20% off their entire lunch menu! Be sure to check them out!! Next, we hopped back on the blogger shuttle and headed to Chairs Upstairs! This restaurant and bar was our next stop for American eats and such. Upon sitting we were immediately greeted with beer. Yes! The first was a Pineapple Sour from Ace Cider out of Sebastopol, CA. I wasn’t really a fan, but I’m not really a fan of sours in general. Sour fans at the table seemed to really enjoy it though. Next, a parade of food came out that was an Instagrammers dream! Because of the dim lighting of the bar, the photo shoot was taken outside. Click! Click! Click! We had some beautiful Smoked Wings, Spinach Artichoke Dip & Chips, Breaded Cauliflower, and Asparagus. All real tasty! My favorite was the Spinach Artichoke Dip. It was soooo cheesy! When we were leaving people were just standing over the bowl still trying to eat it like it was their last meal. Lol! With our delicious food we also had a beer tasting of Nerd Alert from Monday Night Brewing and a Milk Stout from Arches Brewing. Chairs is known for their extensive “craft beer selection, pool tables, brisket, and chairs.” Stop by during ATL Airport District Restaurant Week and enjoy 20% off the entire lunch menu! Our next destination was to a somewhat hidden gem. Behind a few buildings, across a parking lot, we finally came to a door. A door that clearly said STOP. Like a huge sign that was an actual Stop sign! It was pretty shady but everyone happily opened the door and walked in. When we did, we were transported to a speakeasy called the The Duck Club. Upon arrival everyone was given a perfectly crafted Old Fashioned cocktail. Very nice! Our bite selection included some amazing Loaded Bleu Cheese Potato Chips. Wow!! Those are definitely worth the trip to College Park. Check them out! During ATL Airport District Restaurant Week and enjoy 20% off the entire dinner menu! Next door was the next stop on this wonderful blogger tour. This stop was an extra exclusive first look at Radial Cafe’s newest location in College Park. First look as in they were still gutting it out! Still owner and chef, Frank Bragg, provided us with a pretty amazing spread of food. Complete with candlelight and cocktails. I was a major fan of the Superfood Salad and Vegan Oatmeal Cookies! They are expected to open in mid April, serving delicious, locally sourced foods. So be sure to pay them a visit! Last stop on the blogger tours was to The Corner Grille. This locally owned and operated College Park gem is here ready to serve you with some delicious American food with Cajun influences. Yes please! We were given and interesting take on a Moscow Mule. Instead of using vodka, they use Sake, calling it the Tokyo Mule. I loved it! Our tasting was of their delicious Maryland Style Crab Cake and Mango Sorbet. Tasty! Real tasty!! You can get this during ATL Airport District Restaurant Week for just $19 during lunch. The ATL Airport District Restaurant Week preview Tour was pretty great! Definitely take advantage of these awesome special and explore what the Atl Airport District has to offer. Visit ATLDistrict.com for a listing of all the participating restaurants!